I love hearing about other people’s Weims; it is no surprise that someone finds the challenge more than they expected–even shocking. Well, this ain’t no French poodle! Ha ha. I certainly can’t say anything you haven’t heard before. They’re an amazing challenge. That being said, the difficulties faced are worth the doing. Most anything in life worth doing comes with a challenge and price tag. Sometimes I just have to shake my head when people tell me they don’t cut their dog’s nails because their dogs don’t like it. Therefore, they take them to the groomer for everything. Sunny gets his nails trimmed, teeth brushed, bathed, and ears cleaned, and no he doesn’t like some of it. Tough luck!. I sweet talk him like crazy, and then the games are over, and he knows that protesting won’t change the outcome. There’s been a lot of training happening in my house. Mostly Sunny has been training me to do the things he likes, like putting the turkey breast on his kibble. He pouts and refuses to eat if I fail to comply with his wishes. Then he ends up making me the human chew toy holder. Nevertheless, Sunny knows when I’m serious, and what’s expected of him in the important situations. There’s just a low tone of my voice that he understands. I think it’s a matter of deciding what are going to be the non-negotiables. For example, no mouthing, or jumping on people, no pulling on the leash, no running off, and not coming when called. They’re basic things, but if a Weim is going to be out in public enjoying life, they just have to behave responsibly. Rod we remember all too well when you first contacted us. You wanted another Weimaraner; however, you were worried about raising one without someone else to help you. Being single certainly puts a different spin on the process. Nonetheless, in some ways it might be easier. At least, there are not mixed messages. We problems solved on the phone because your lifestyle was unique. You came and got Sunny and began the journey. We know it was no piece of cake, but we also realize the dividends were mind boggling. What these guys bring to us (when you get through the initial training and adjustment period) cannot be addressed in a few sentences. The experience is different for each of our OwyheeStar clients. In general, dogs make us better humans. The Weimaraner is life-changing on nearly every level. Above are photos from our archives reflecting your journey with Sunny. I think they speak volumes. Cliff and I thank you for everything you do for and with Sunny. 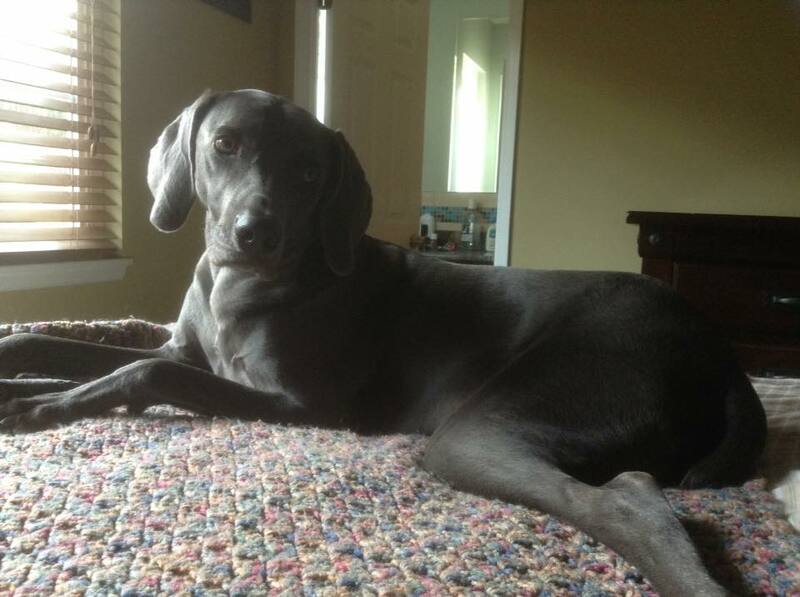 Posted on September 15, 2015, in Previous Pup Update, Sage X Blue and tagged Blue Male Weimaraner, Blue Weim, Blue Weimar, Blue Weimaraner, Blue Weimaraners, Blue Weims, Boating Weim, Comfortable Weimaraner, Companion Weim, Companion Weimaraner, Companion Weims, Oregon OwyheeStar, Oregon Weimaraner, Oregon Weims, OwyheeStar, OwyheeStar California Weimaraners, OwyheeStar Weimaraner, Swimming Weimaraner, Swimming Weims, Water Weimaraner. Bookmark the permalink. Leave a comment.